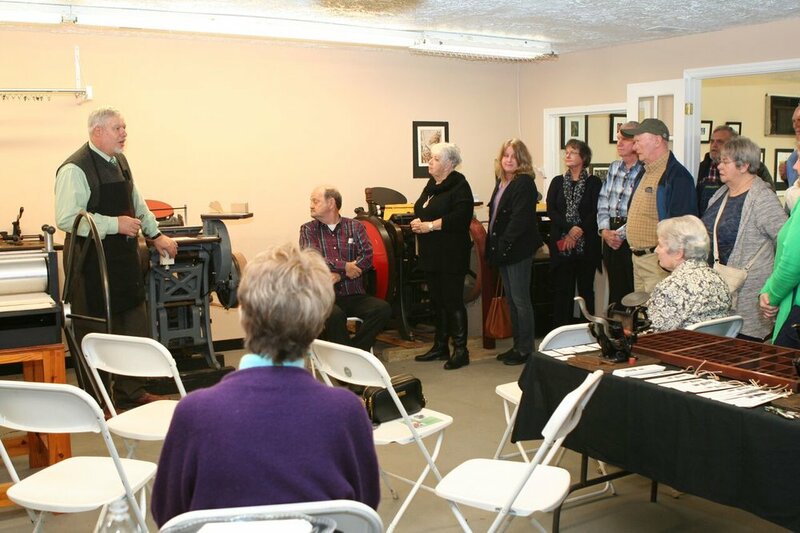 Photos from Sunday's demonstration of the "Old Stilesboro" Letterpress at the reception for Sam Galloway and the return of Letterpress to Kennesaw. 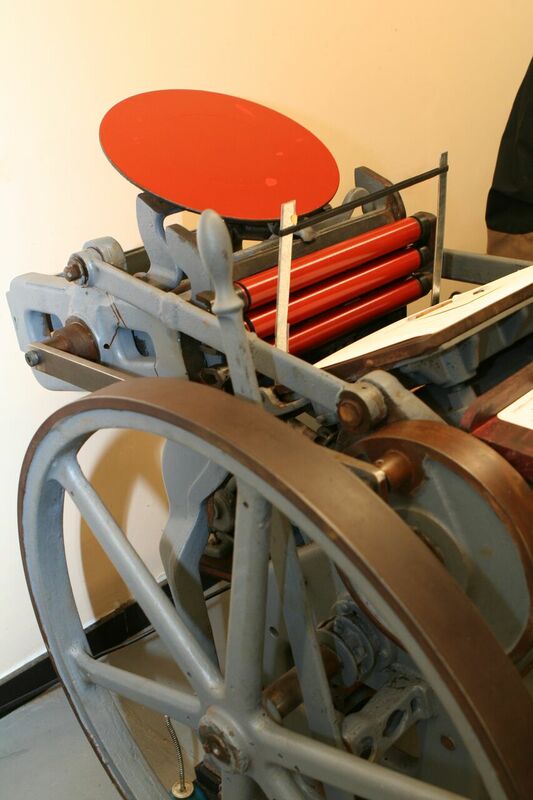 These great photos show the sequence of operation of the old platen style letterpress just like how Sam and Jimmy Galloway printed years ago at their shop on Old Highway 41, just south of North Cobb High School. These photos were taken by Mr. David Ibata of the Atlanta Journal Constitution.